Average Time To Spend About 30 min. 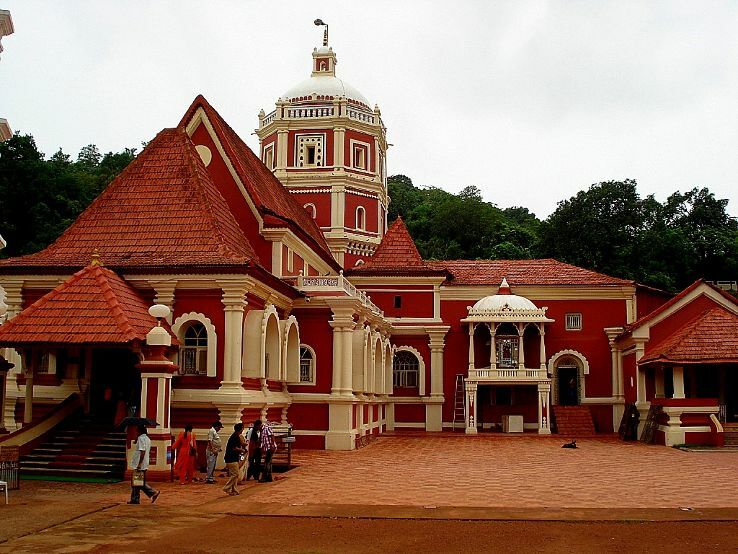 Extra Shri Shantadurga Temple is a Private temple complex belonging to Goud Saraswat Brahmin community. 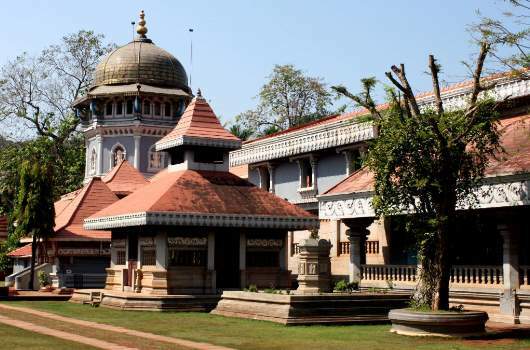 Facts The temple is dedicated to Shantadurga, the goddess who mediates between Vishnu and Shiva. The deity is also called 'Santeri' colloquially. People Love For Place This temple is has gold and silver statutes inside the temple. Time For Puja No specific timings. Tips Maintain the temple decorum. Extra It was founded in 1609. People Love For Place This place is a 400 yrs old Church and visit here gives a sense of calmness. Tips The best time to visit is during the Monsoons. Distance From Other Place 2 km from Ponda Market. Extra This place has a pond,garden in the vicinity as well. Facts This place is known for its Mughal style Architecture. People Love For Place A beautiful place to offer prayers and relax in a positive environment. Tips A must visit place to feel close to the nature. Extra Good food is served in the temple canteen for the devotees. Facts Mangeshi temple is a Hindu temple dedicated to Lord Shiva and is situated in Mangeshi Village. People Love For Place This place a positive,vivacious and feel good atmosphere.It is a well maintained place. Tips Do stop by and shop on the streets outside the temple. Average Time To Spend About 1 hour. Distance From Other Place 2 km from Manhesgi Temple. Extra Marriages are also held here. 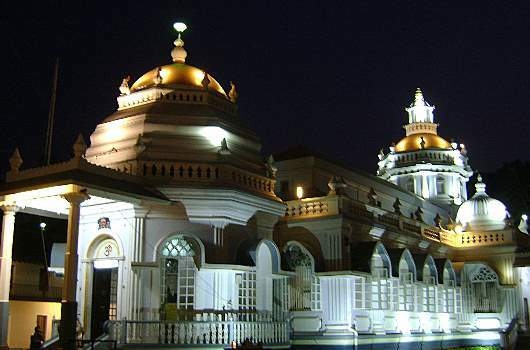 Facts Temples dedicated to the worship of Shri Mahalasa Narayani are present in Maharashtra, Goa, Karnataka, Kerala and many other places. People Love For Place It is a very peaceful and serene place. Time For Puja Every Sunday the Deity is taken out for Palki. Distance From Other Place 10 km from Panjim Market. Extra It has a Gothic style Architecture. 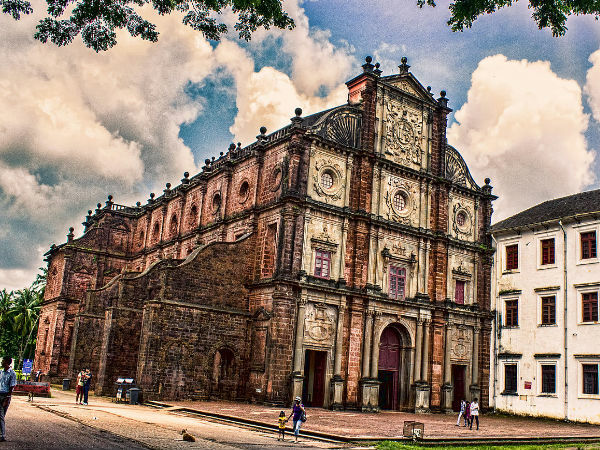 Facts The Sé Catedral de Santa Catarina, known as Se Cathedral, is the cathedral of the Latin Rite Roman Catholic Archdiocese of Goa and Daman and the seat of the Patriarch of the East Indies. People Love For Place The Church architecture is worth visiting. Extra This temple is located at a deep forest. The natural beauty that lies here is worth visiting. 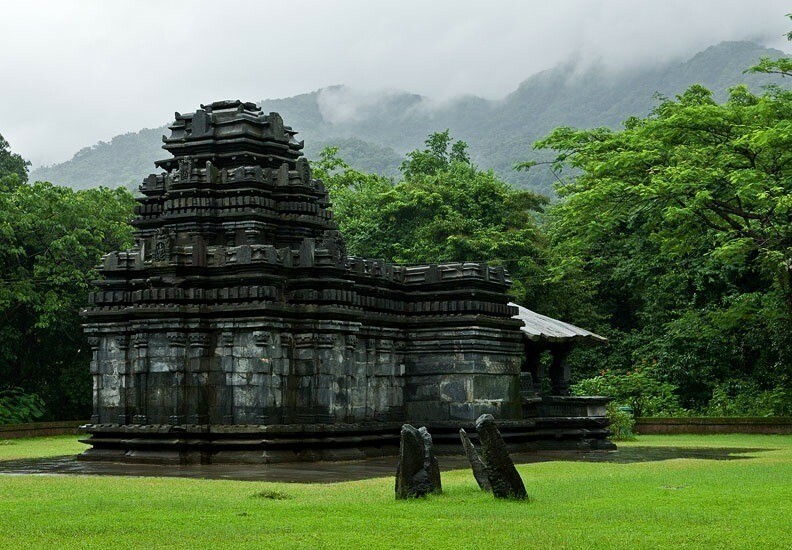 Facts Mahadev Temple, Tambdi Surla is a 12th-century Shaivite temple of the Lord Mahadeva and an active place of Hindu worship. People Love For Place This place is known for its peaceful environment and tranquility. Time For Puja No specific timings.But Monday Artis are held. Extra This place has been shown in many Bollywood places. 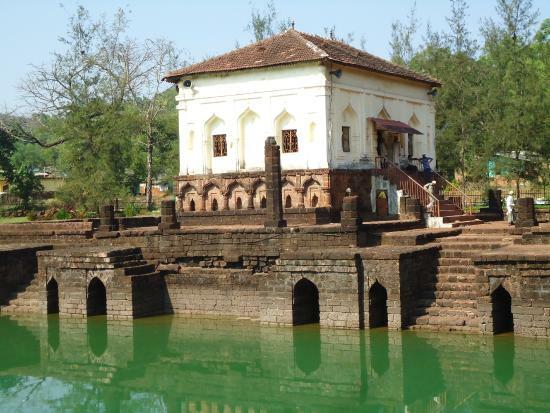 Facts You can see most part of old goa on one side and the Divar island across the Mandovi River on other side. People Love For Place This Church gives a calm feeling and the hilltop view is breathtaking. Distance From Other Place 2 km from Ella,Goa. People Love For Place This place has a beautifully carved ceiling and wonderful paintings. Tips Photography is not allowed inside the temple. 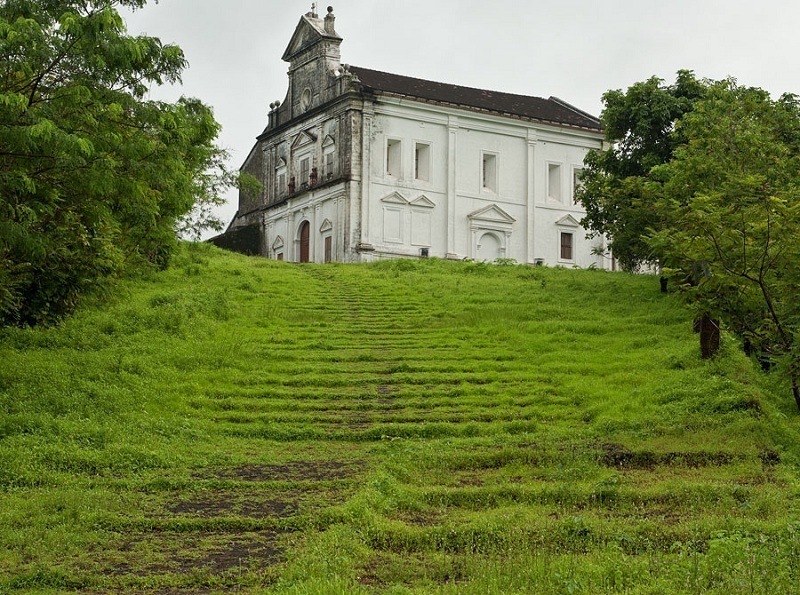 Extra The Basilica of Born Jesus or Borea Jezuchi Bajilika is located in Goa, India, and is a UNESCO World Heritage Site. Facts The basilica holds the mortal remains of St. Francis Xavier. People Love For Place This place is a reflection of Portugese influence on Goa and its culture. Tips Do carry your cameras. Facts This stately 17th-century Catholic church features a facade resembling St. Peter's Basilica in Rome. People Love For Place This place is a must visit place for history lovers. Tips This place also has a Garden and a place to have a good walk.